The video has the beginning. I’m currently trying to get it translated for you guys and perhaps put subtitles. Although, it’s much like Kaiser’s storyline, except the part where she meets Escada (the dragon). Escada then transforms her into Angelic Burster and she gets awesome powers. She also looks better than she was :P.
Level 200 quests were added for Angelic Burster. Easier to recharge, other skill changes, and voice was added for Angelic Burster. Recipes added for Angelic Burster equipment (no duh). Emblems and rings for Angelic Bursters have HP bonuses. 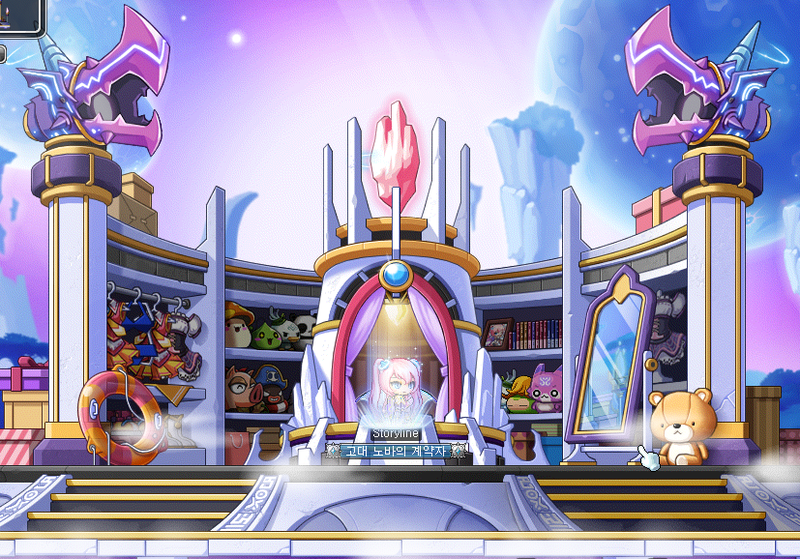 Credits to maple.inven.co.kr (via leafre.net) for the images (because I couldn’t find them in-game). Crazy stats! I really want those. 1+1 event added for Angelic Burster. Lab of Madness added, not much information about that. Future bosses^. From left to right => Belderose, Victor and Toolgool (?). That’s Belderose. Mhm. That traitor, like Magnus. Hair stylist added to every town (don’t understand what that means, really. Not a big NX fan). Hot Time hat for Angelic Burster added. I’ll talk about it when it comes to KMS anyway. See you soon (actually, very soon. Mutiny update is coming to GMS)! Second! And wow, such incredible equips… Do these drop from Magnus or something? She’s like a pink Miku, but prettier. Actually, I think she is almost EXACTLY like Miku, cause there was a picture of her singing, wasn’t there? IT’S MIKU’S LONG LOST SISTER! First? and dang that equipment beats empress equip by tenfolds clean! 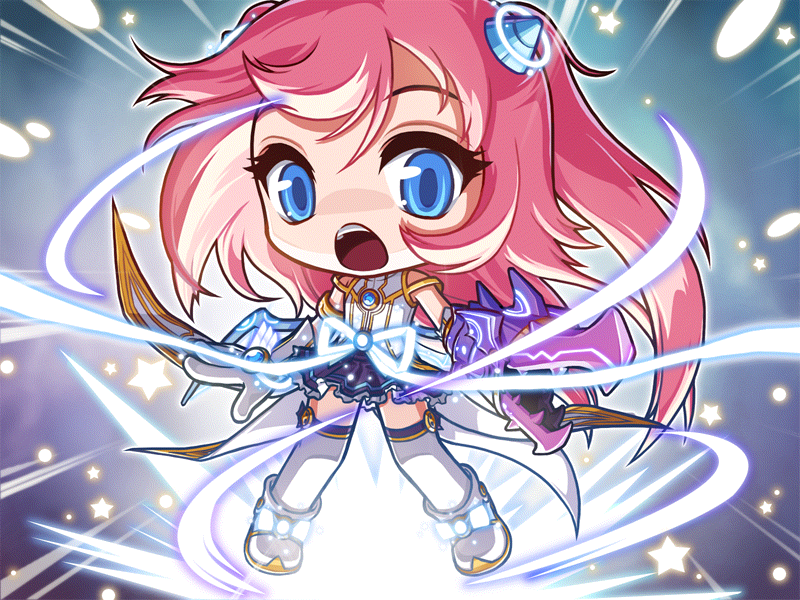 To bad the players aren’t cute when they choose Angelic Burster… Perhaps they would scam and stuff well i guess thats how Maplestory is. Hm, not really. When I get time, I will work on one, but until then, nope. They already did; they added Helisium Tower and will add more maps. Are you completely sure the Nova guy is a new EVIL boss? He can’t be the Nova Thief. He’s obviously holding a sword. ok, i meant that they should add entirely new towns. like victoria island has the 5 main towns + sleepywood. And ariant and magatia are on the same continent. Itd be nice if they added other Continents to Grandis so itd be like a whole new world. So when is Angelic coming out to KMS? This issue of everyone looking the exact same needs to be fixed. Wow Angelic Burster is cute. why is belderose or w.e becomes evil i thought he was there friend too?